The leopard cat drew a lot of attention when it was chosen to be the mascot of the 2018 Taichung World Flora Exposition. However, people do not seem to know that leopard cats are constantly killed by cars. According to Taiwan Roadkill Observation Network statistics released on 17th January 2018, the recorded number of roadkill leopard cats was 54 from 2012 to 2017. Reports from TA News also mentioned that six leopard cats had been killed by cars in four months from January to May 11th 2018. Why have roads become the leopard cats’ slaughter ground? We are always proud to get around easily, which comes at the cost of leopard cats’ fear of death. Why are leopard cats are so vulnerable on the road? What is the meaning of leopard cat existence for eco-environment of Taiwan? What is the number of leopard cats that still exist in Taiwan? 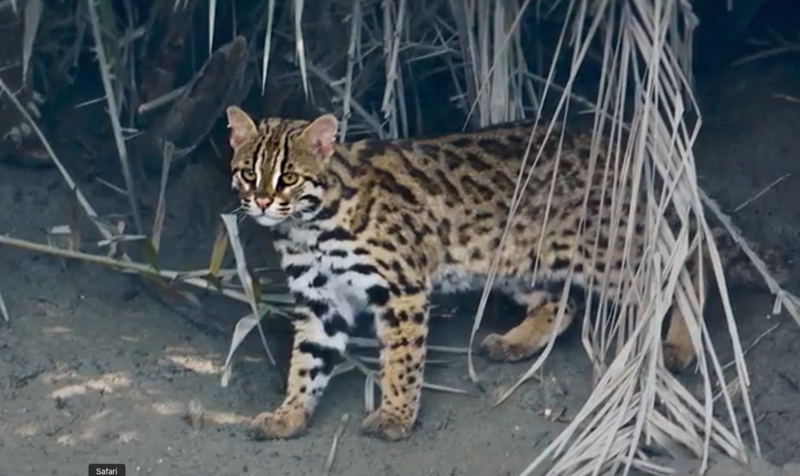 Is it possible for these leopard cats to be rehabilitated? First, leopard cats are highly adaptable species and they are never picky on what they can eat. Therefore, you could see them everywhere in Taiwan about 50 years ago. However, they have now been seen occasionally in Miaoli, Taichung, and Nantou county, and their numbers have reduced to only 300 to 500 leopard cats in total. Although leopard cats are keystone species at lowland areas, they still facing extinction at this stage. Once the leopard cat disappears, it means the total collapse of the lowland areas ecosystem in Taiwan’s environment. Is it possible to turn crisis into opportunity? It depends on people’s attitude and actions. The three main factors of endangering leopard cats are habitat destruction, pesticide poisoning, and roadkill. Although NGO groups are currently promoting the conservation works for leopard cats, only 5% of people are aware of this action. Most people have hardly heard about or realized the situation, much less to realize the importance of protecting it. The people always prefer the instant economic benefits of opening new roads rather than the long-term beneficial effects for environment. The conservation of leopard cats is equal to the preservation of the overall environment, and it is time to communicate that with people and parties. The fundamental approach is to reinforce the environmental ecological education, and encourage the younger generation to go out into nature instead of playing electronic games, to walking in the woods to feel the real nature, and to change what they eat. Only people start to choose friendly farming products, the farmers can then use less pesticides. And if people drive slower in suburban areas and mountainous areas, the leopard cats can avoid or survive road kills.